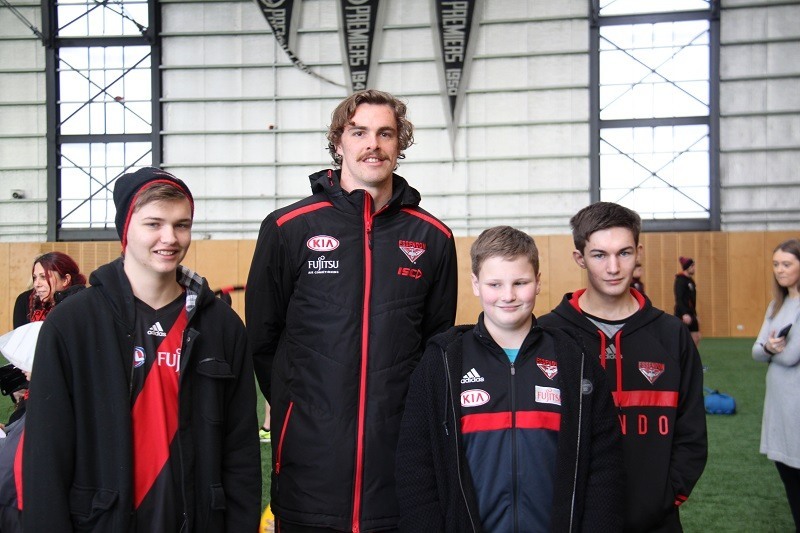 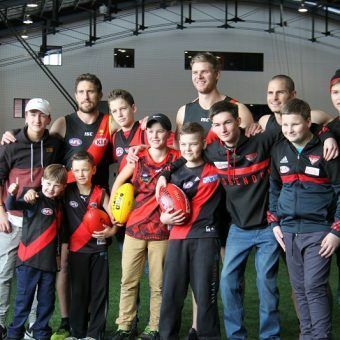 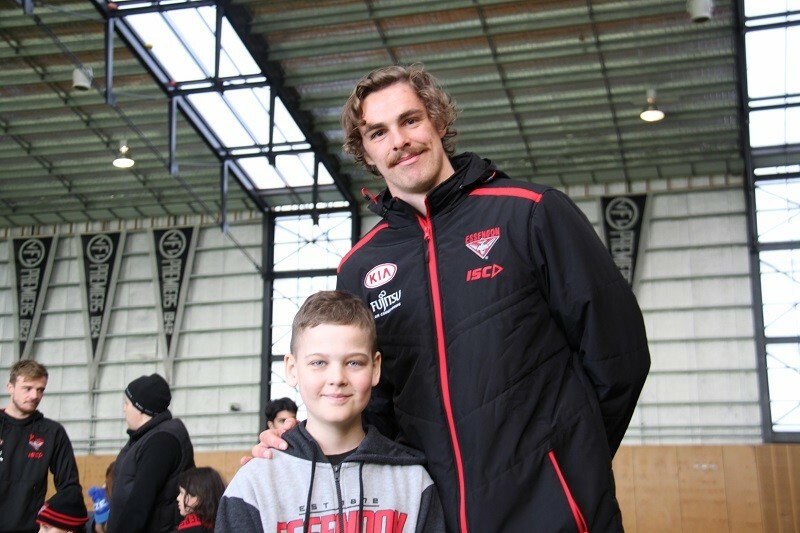 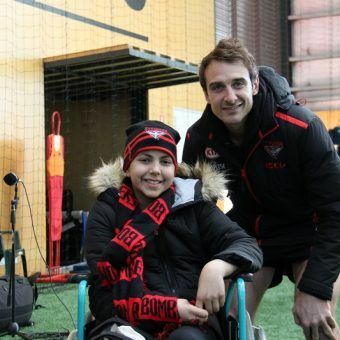 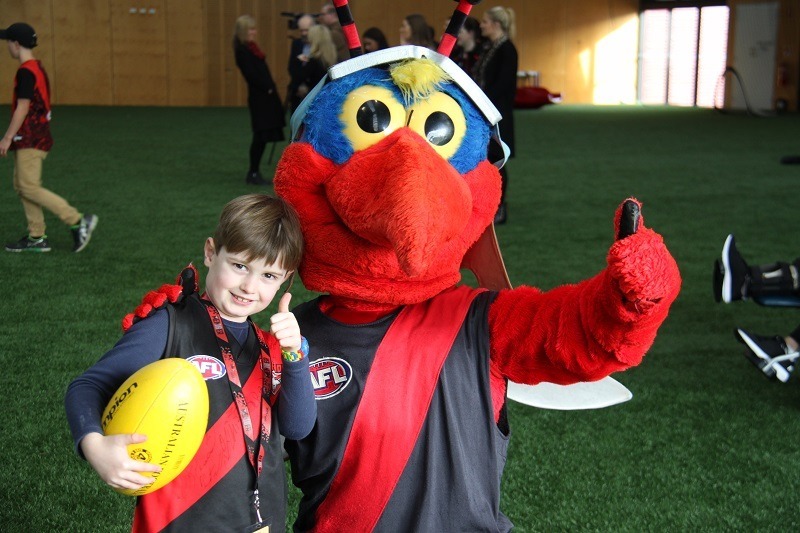 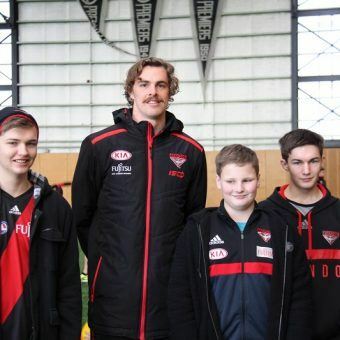 On Tuesday morning, 22 young Challenge members and their families visited the Essendon hangar to meet their footy heroes, in the lead up to running out with them, before the Clash for Cancer match this coming Saturday. 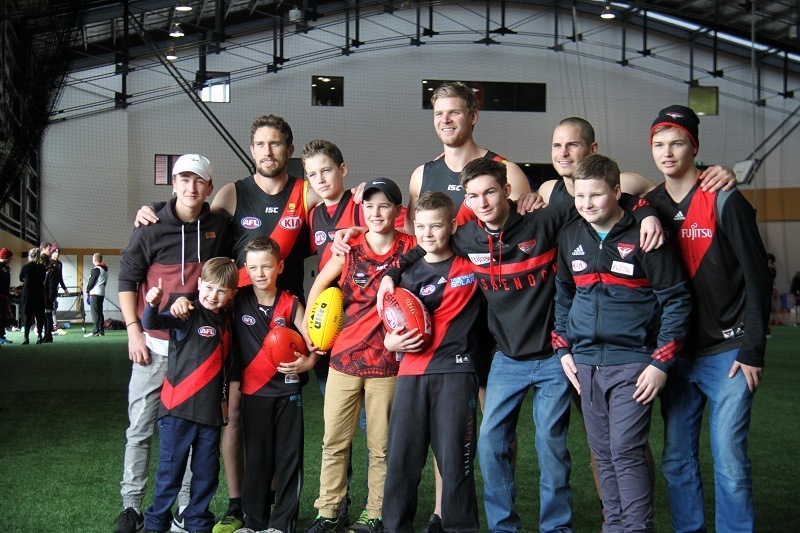 Challenge Chairman, Tom Gleisner joined Essendon legend, Adam Ramanauskas to present the guernsey that will be worn during Saturday’s game, featuring the Challenge logo. 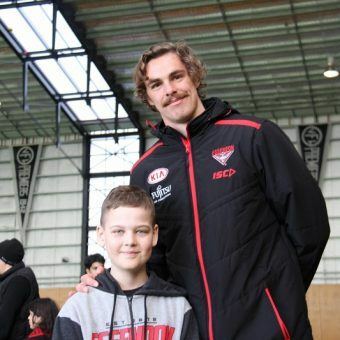 Challenge is excited to be a charity partner of the Essendon Football Club and is proud to be involved in this important event, which will raise awareness and funds for children living with cancer. 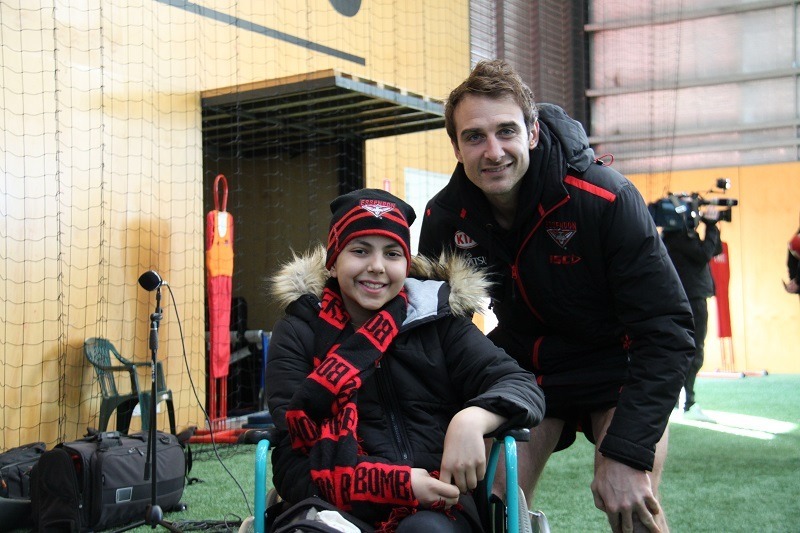 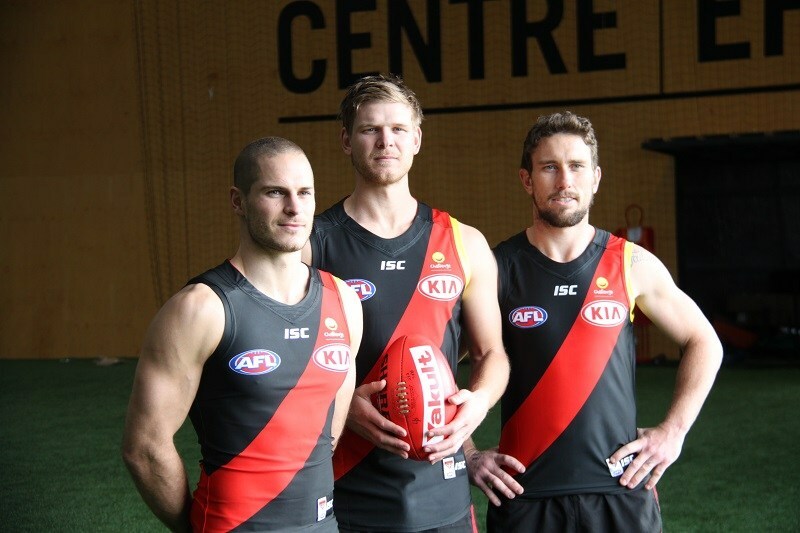 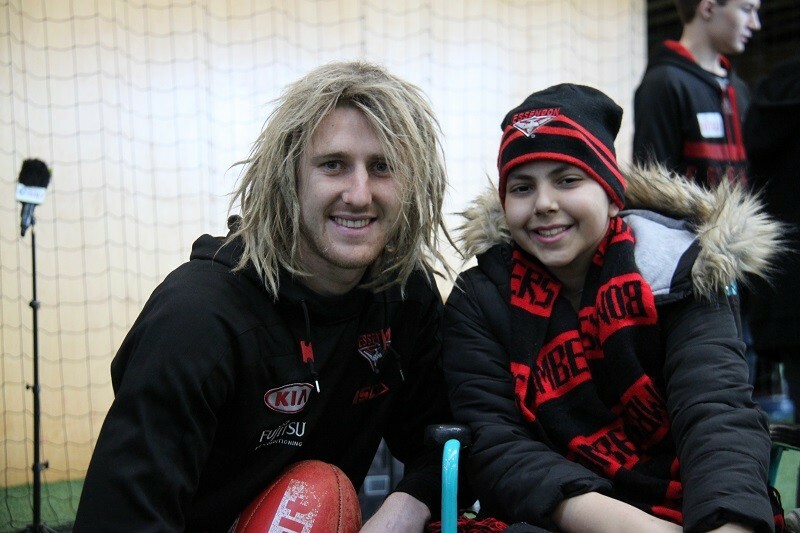 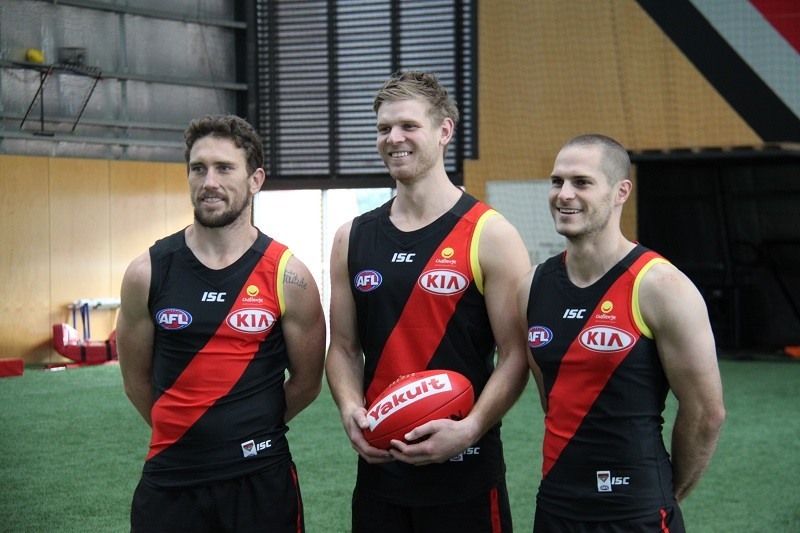 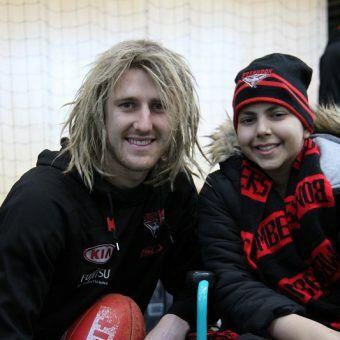 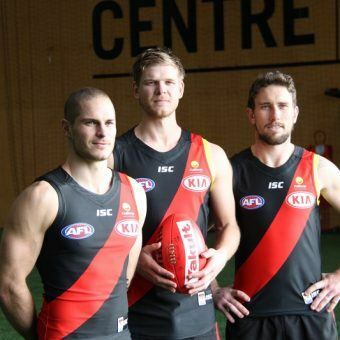 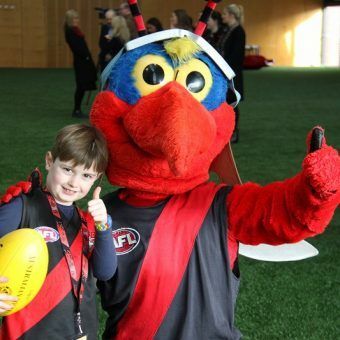 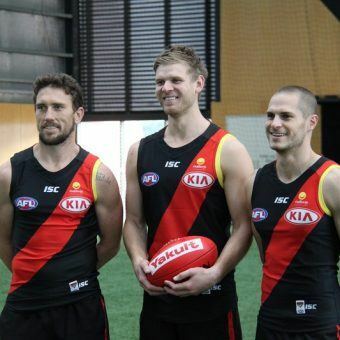 Thank you to the Essendon FC for making this possible – you have put a smile on many faces.